Poland probably had the most successful debut entry in 1994 with “To nie ja!” by Edyta Gorniák (2nd). After entering the Eurovision Song Contest so brilliantly, Poland has shown many outstanding and inspiring music styles over the years. In the last two years, the Poland has been represented by females with ballads, more or less successful. Poland does not really benefit from the new two-show-concept, only once they could qualify for the final in 2008 with Isis Gee “For Life”, but failed in the final on the 24th rank, but this was probably more due to the vocal problems of the singer. In Oslo we will see a male artist for Poland again. 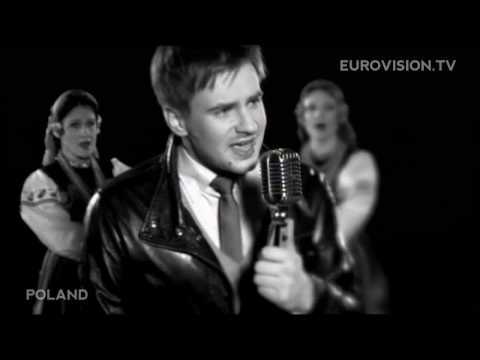 Marcin will sing “Legenda” – a powerful and folkloristic song. In the Polish pre decision, this song has won clearly with votes from the juries and televoters. “Legenda” is not an easy-listening song, it is atrabilious and a bit rough-running and it will be very hard for Poland to get voted into the final. From the international point of view this interesting, but nothing really uplifting and positive, what a Eurovision winner needs.